Poor postnatal mental health is a major public health issue, and risk factors include experiencing adverse life events during pregnancy. We assessed whether midwifery group practice, compared to standard hospital care, would protect women from the negative impact of a sudden-onset flood on postnatal depression and anxiety. Women either received midwifery group practice care in pregnancy, in which they were allocated a primary midwife who provided continuity of care, or they received standard hospital care provided by various on-call and rostered medical staff. Women were pregnant when a sudden-onset flood severely affected Queensland, Australia, in January 2011. Women completed questionnaires on their flood-related hardship (objective stress), emotional reactions (subjective stress), and cognitive appraisal of the impact of the flood. 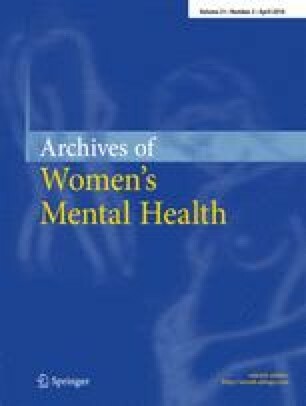 Self-report assessments of the women’s depression and anxiety were obtained during pregnancy, at 6 weeks and 6 months postnatally. Controlling for all main effects, regression analyses at 6 weeks postpartum showed a significant interaction between maternity care type and objective flood-related hardship and subjective stress, such that depression scores increased with increasing objective and subjective stress with standard care, but not with midwifery group practice (continuity), indicating a buffering effect of continuity of midwifery carer. Similar results were found for anxiety scores at 6 weeks, but only with subjective stress. The benefits of midwifery continuity of carer in pregnancy extend beyond a more positive birth experience and better birthing and infant outcomes, to mitigating the effects of high levels of stress experienced by women in the context of a natural disaster on postnatal mental health. Funding was provided by a grant from the Canadian Institutes of Health Research (CHIR grant # MOP-1150067) and funds from Mater Research, Mater Health, and Mater Foundation. Ethical approval was obtained from the Human Research Ethics Committees at the study site hospital and affiliated university (reference numbers 1709M and 2013001236, respectively). All participants provided written informed consent at recruitment into the study and when completing the 6-week and 6-month postnatal surveys.